You’ve just sat down for a meal and start digging in to the Dungeness crab your friend or relative brought as a special treat. As you savor every bite, you’re probably discussing family or work, but a group of researchers want you to also think about where the crab came from – and the men and women who risk their lives to catch it. 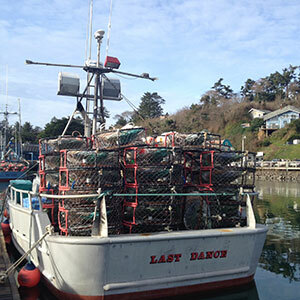 Together, Oregon State and community researchers are joining forces with commercial crabbers to develop injury prevention efforts so the latter can stay safe on the job. 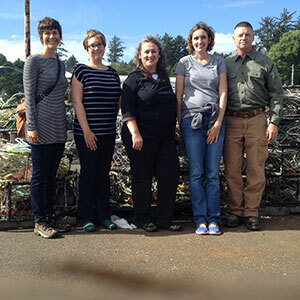 FLIPP Project researchers from left to right: CPHHS Assistant Professor Laurel Kincl, CPHHS PhD student Laura Syron, Oregon Sea Grant Extension faculty Ruby Moon, Oregon Sea Grant Extension faculty Kaety Jacobson, CPHHS Associate Professor Viktor Bovbjerg. Their work is made possible by a $275,000-a-year, three-year grant from the National Institutes for Occupational Safety and Health led by College of Public Health and Human Sciences Assistant Professor Laurel Kincl. Laurel says most fishing-related research is focused on preventing fatalities in commercial fishing – the nation’s most dangerous industry – but her project, Fishermen Led Injury Prevention Program – or FLIPP, is taking a different approach by looking at injuries that could limit a fisherman’s ability to work and potentially provide for his or her family. Toward that end, the fishing community will lead the project, while the research team’s role will be to provide data to support the community in making decisions. Al Pazar, captain of the Delma Ann commercial fishing vessel based out of Newport, Oregon, says safety is paramount on his boat. Because of the nature of the job, including lifting heavy crab pots, researchers believe many injuries involve crushed hands and fingers. “Also, slips and falls on the deck and musculoskeletal injuries to shoulders and backs can be due to heavy lifting and a lot of manual labor,” Laurel says. Fishermen are required to report certain injuries to the U.S. Coast Guard (USCG), but because the majority of injuries are not required to be reported and there is no mechanism to report injuries not associated with an incident, little data exists on the nature or extent of these fishermen’s injuries. To dig in to this un-reported level of data, the FLIPP project will use a fishermen-led, community-based approach to assist the fleet in identifying interventions. The plan is to use the USCG data as a starting point to identify what types of injuries are occurring, when they are happening and what fishermen are doing during the injury. Researchers will then share their findings with the fishing community. Next, Laurel and her team will solicit detailed injury reports from local fishermen in each of the regions being examined to determine which work processes will be focused on and identify interventions that could potentially prove effective. “The last phase of the project will be to decide which intervention we could actually implement, and then to do a feasibility study to see if it prevents injuries,” Laurel says. She points out the goal is not to implement new restrictions or regulations, but rather have the fishermen lead the prevention interventions and decide what is best for them. 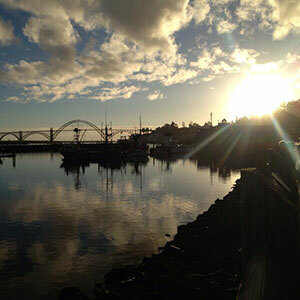 Other researchers working on this project include CPHHS alum Devin Lucas, CPHHS Associate Professor Viktor Bovbjerg, CPHHS PhD student Laura Syron, and Oregon Sea Grant Extension faculty Kaety Jacobson and Ruby Moon.